We provide a neat package of services which we can adjust to suit your needs. •	Delivers the results you require. •	Concentrates on measurable business value. •	Integrates effectively to existing business systems. •	Delivers an affordable website or digital solution. •	Learn more about what we do here. 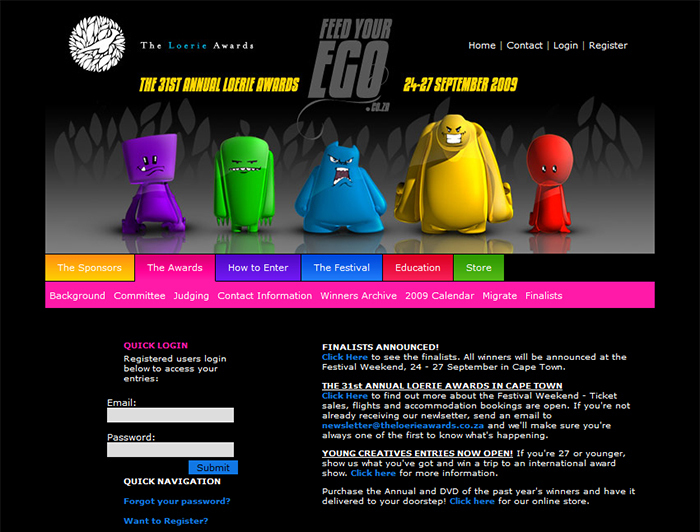 We helped The Loerie Awards, South Africa's premier creative awards show, develop their online awards system.